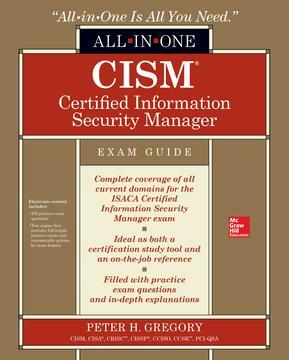 My CISM Study Group will help you prepare for the Certified Information Security Manager exam. I’ll send you weekly coaching emails that guide you through my study materials and prepare you for the CISM exam. Fill out the form below to join for free! LinkedIn Learning features a series of video courses that I've prepared covering all of the material that you'll see when you take the CISM exam. I recommend Peter Gregory’s CISM Study Guide as a companion book to my video course series.